Nancy is a Digital Literacy Specialist at Skokie Public Library, where she provides technical support to patrons and teaches classes on the many uses of technology. She enjoys poring over crossword puzzles and mystery novels, and is always on the lookout for more ways to incorporate avocados into daily life. If you like to learn, the first two decades of life are full of wonder. If you like to learn, the first two decades of life are full of wonder. Not only is learning encouraged and incentivized, it’s the law. Each day, you are required to sit in a classroom with thirty of your peers and learn (whether you want to or not). And then, abruptly, it ends. Some of us feel this absence more keenly than others. The familiar routines of education: studying, collaborating, and questioning, end. But they don’t have to. Since Massive Open Online Courses (MOOCs) have appeared on the scene, you can continue the learning part, but the classroom part is a bit harder to achieve. 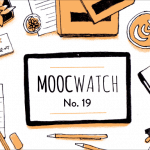 The missing classroom experience is one of the main criticisms of MOOCs. Online forums are no substitute for in-person interaction. But is it possible to actually have it all? Since Massive Open Online Courses (MOOCs) have appeared on the scene, you can continue the learning part, but the classroom part is a bit harder to achieve. Here at Skokie Public Library, we have just completed our 2nd rotation of MOOCs. We initiated the program with two MOOC groups this past spring. Our intrepid interns, Kiley Mullane and Amanda Shively, led Astrobiology and the Search for Extraterrestrial Life, and I led Chemicals and Health. 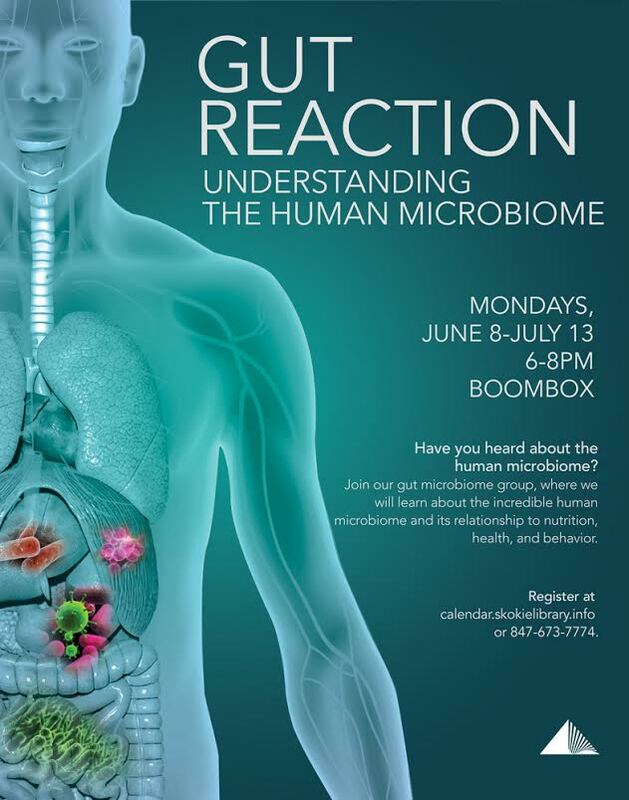 For the summer quarter, I led Gut Check: Exploring the Microbiome. Libraries are in the business of providing access to information in a variety of forms, from books to databases to the internet. The concept that, regardless of socioeconomic status, all citizens should have equal access to ideas, is one of society’s noblest. That being said, it takes a rather tenacious person to teach herself quantum theory from a book. 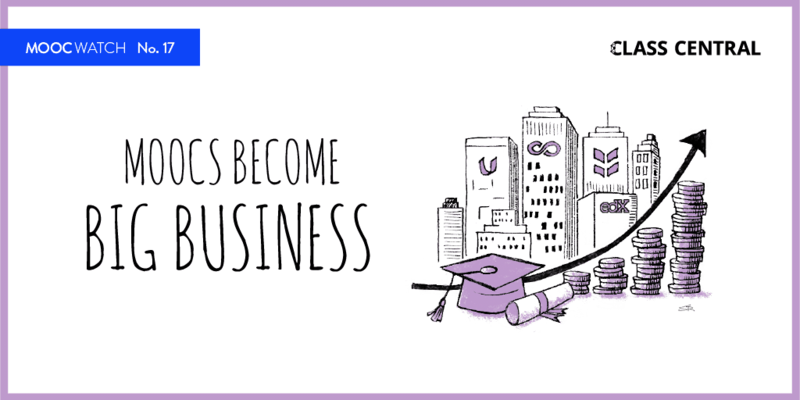 MOOCs help us overcome that inertia by providing access to some of the world’s best teachers. Access to ideas and access to teachers–libraries and MOOCs seemed natural partners. As a facilitator of a MOOC group, I think it is essential to lead a subject you have an interest in. For me, that’s science. European history doesn’t change much, but science does. Science is restless and roving. It’s never content with the status quo. Science verifies itself, disproves itself, throws accepted notions out and goes back to the drawing board. Every day. You can never grow complacent and think you know everything there is to know about science, because you don’t, and you never will. Science confounds us, and that’s a considerable part of its allure. Science verifies itself, disproves itself, throws accepted notions out and goes back to the drawing board. In recent years, there has been no field of science more contrary than microbiology. Previously the field was largely concerned with finding ways to kill microbes. But recently microbiologists have started to lay down their arms, and instead ask how we can entice them back. Probiotics have sprung up to counter antibiotics. Why the change of heart? Emerging research has unearthed some astonishing facts. The human microbiota, or the microbes that live on and in the human body, is a complex realm. We now know that microbial cells outnumber our own human cells significantly, by a factor of ten. For every single human cell in your body, you have ten microbial cells. We also know that these microbes are not merely spectators. They play active roles in our digestion, our moods, and our immunity. Scientists believe that changes in the gut microbiota (due to widespread antibiotic usage and reduced dietary fiber) may play a role in diseases of not only the digestive system, but of the endocrine, nervous, and immune systems as well. And higher microbial diversity seems protective against disease. These new understandings raise some thought-provoking questions. How human are we, exactly? And what does it mean to be human? Maybe we’re not the ones in control after all. These are just some of the topics we discussed in our latest MOOC group. The group was limited to 10 participants; we averaged nine participants who met weekly (for 2-hour sessions) for six weeks. 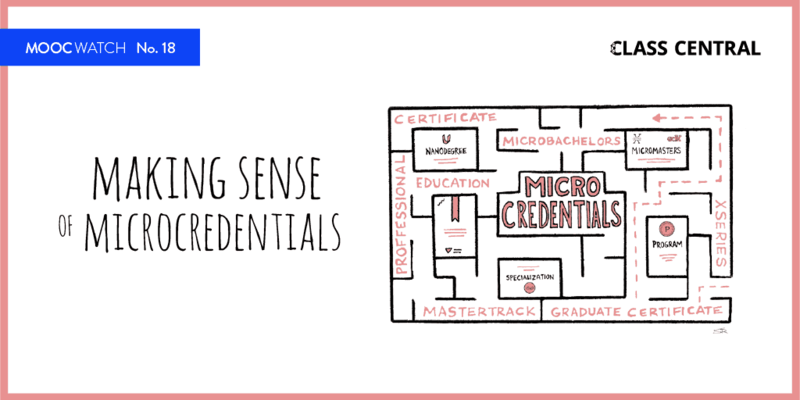 Our course lectures came from the Gut Check: Exploring the Microbiome MOOC on Coursera, led by Drs. Rob Knight, Jessica Metcalf, and Katherine Amato of the University of Colorado, Boulder. The lectures were compelling and included freshly-published research, which sparked lively discussions. Whenever possible, I interspersed the Coursera lectures with extra content. 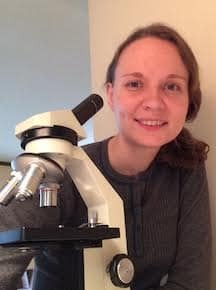 I added videos featuring microbiologists and science writers. One student brought in her own video on cell biology. Other students shared articles they found related to the human microbiota. Since this MOOC focused on microbiology, we utilized microscopes extensively. I set up a projecting microscope and we observed live protists drift across the wall (people say watching fish is relaxing; I would argue there’s nothing more soothing than watching stentor hunt for food). 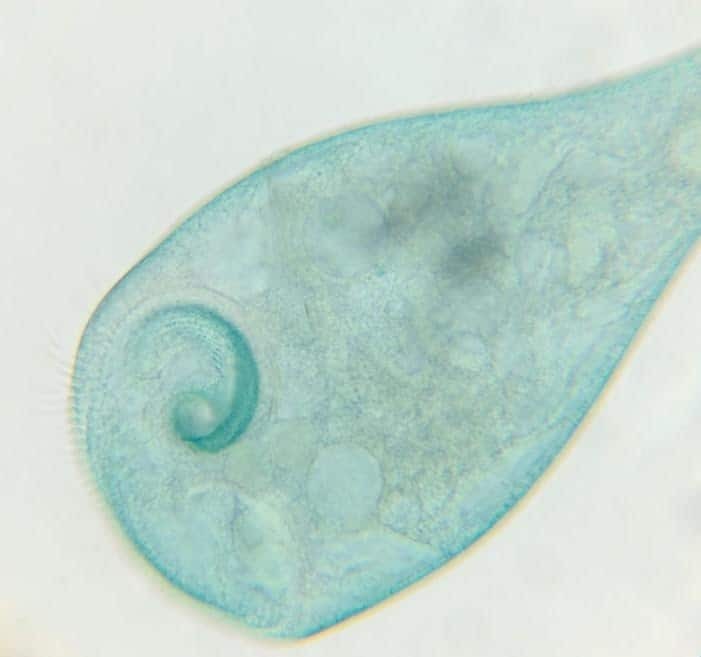 We looked at aptly-named spirulina coils and watched paramecia zoom by. Viewing prepared slides became a game of magnified Pictionary, with students trying to guess the identity of what they were seeing: pollen, motor neurons, handmade paper, etc. We looked at yogurt and kefir and could see the stirrings of rod-shaped bacteria, likely Lactobacillus, a resident of many fermented foods. By coincidence, the library happened to be hosting a fermentation program during the last week of our course. Half of the group attended this session, where they learned the principles behind microbial fermentation and how to make their own kombucha, sauerkraut, and pickles. It was great to cap off the experience with a practical application of microbiology. After the course ended, the students decided to start an email list to share relevant articles about microbes and health. There’s even talk of a gut class reunion. While I still believe there is a place for solitary MOOCs, I am eager to see more manifestations of collective ones. I think there is enormous potential here. The high quality content is already available. And for a long time, I thought that was good enough. I took this MOOC myself six months prior, and while I got a lot out of it, the solitary version and the classroom version were completely different experiences. I have my students to thank for that. I couldn’t have asked for a more interesting and engaging group of students. They asked questions that never occurred to me and brought their own knowledge to the table; their enthusiasm was contagious. And while I still believe there is a place for solitary MOOCs, I am eager to see more manifestations of collective ones. Admittedly, our classroom may have looked a bit different from the norm. For one thing, we were all adults. There were no desks and no blackboards. There was no one teacher. But it was still a place of mutual discovery. Whatever form they may take, let’s never outgrow classrooms. Let’s never outgrow coming together with our peers to unravel the unknown.